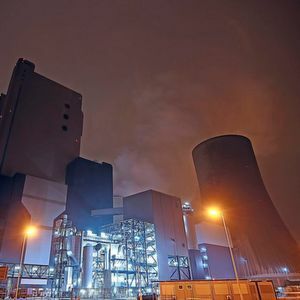 Hinduja Group’s Hinduja National Power Corporation Ltd (HNPCL) is setting up a greenfield 1,040 MW coal fired thermal mega power plant in the Visakhapatnam district of Andhra Pradesh. Andhra Pradesh/India – The project will have two units of 520 MW with state of the art technology offered by Bharat Heavy Electricals. The units are scheduled to commission in July and October 2013 respectively. More than 3,200 workmen are currently working on site. The project has already achieved financial closure with a consortium of 14 public sector banks led by the State Bank of India.